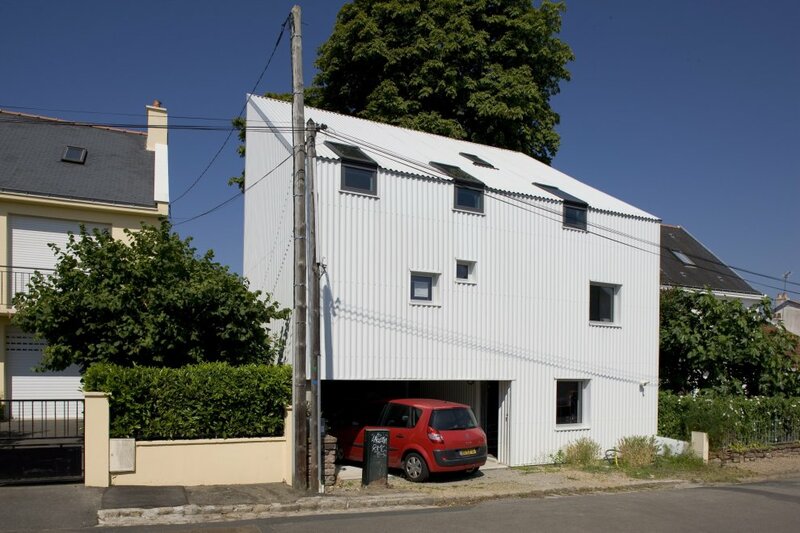 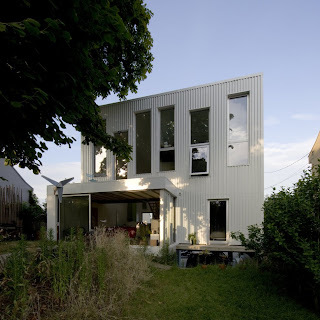 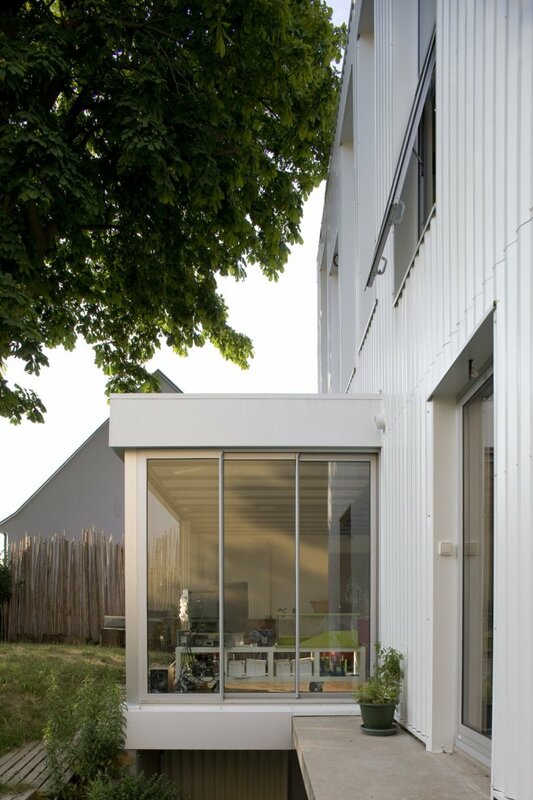 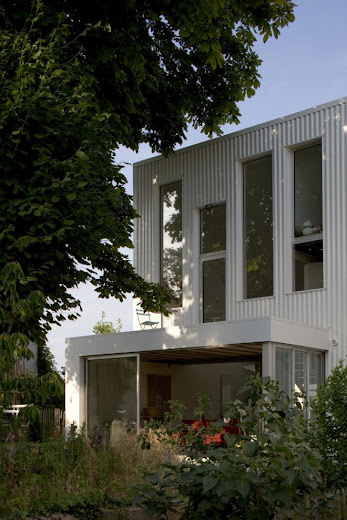 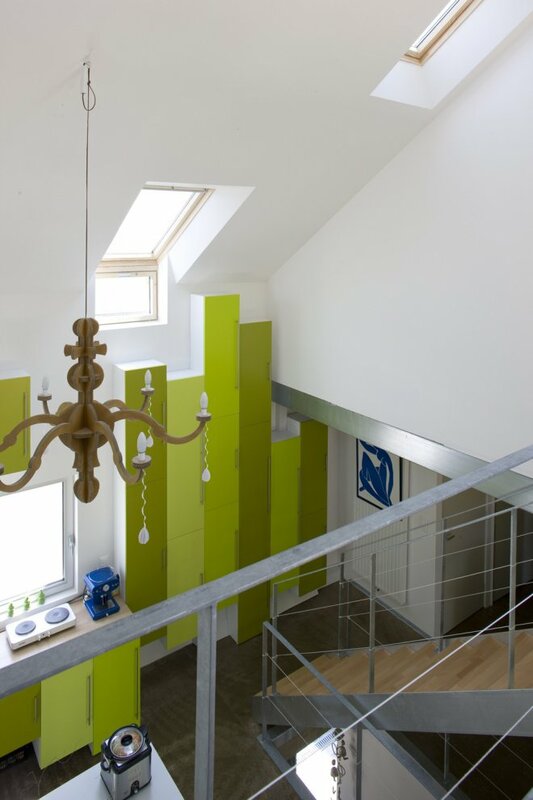 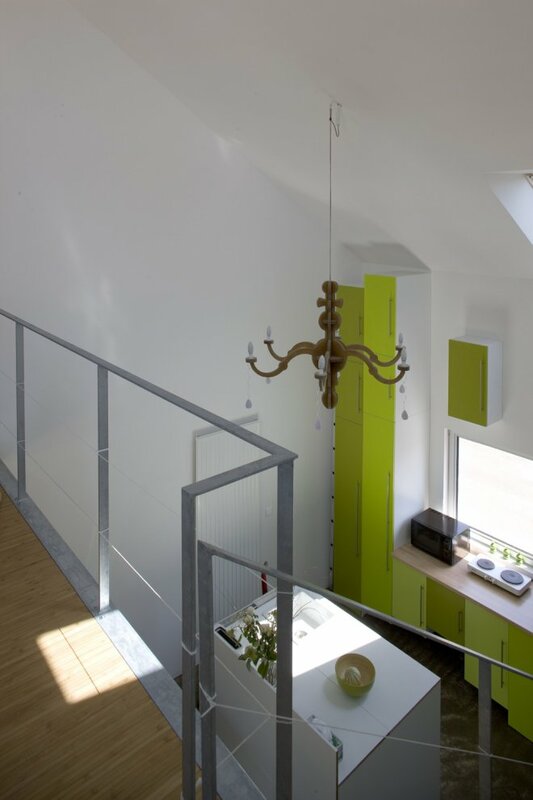 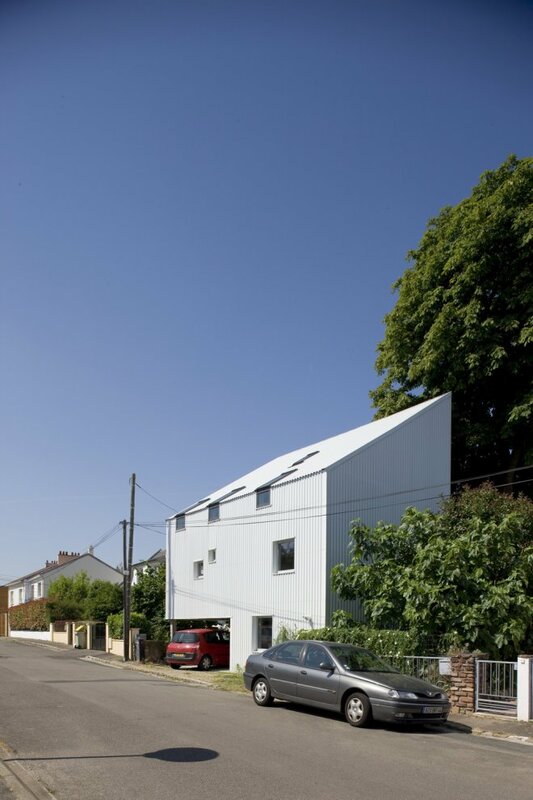 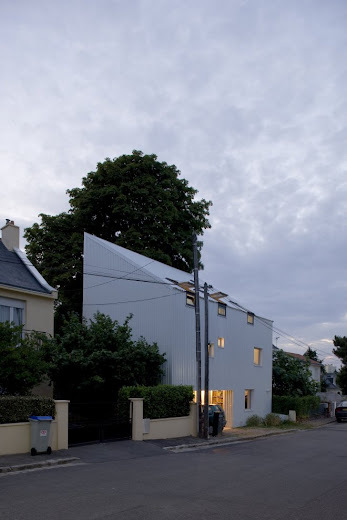 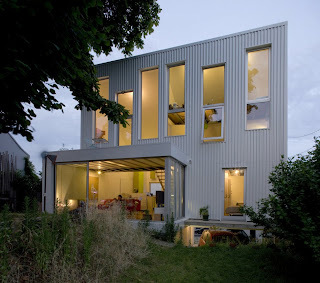 In the heart of Nantes, the house settles on a narrow and steep site. 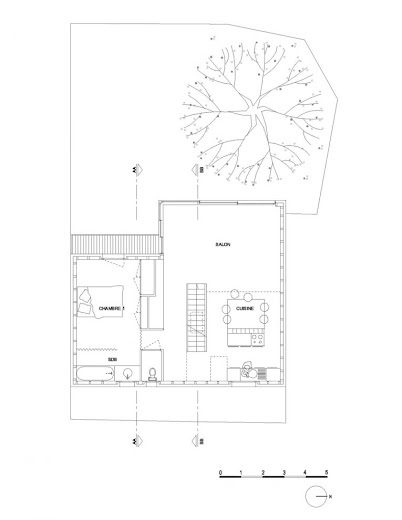 Its location and its size result from regulatory constraints and topography: an old chestnut listed in classified wooden area, a sharp drop, a maximum height of 6m down the roof and 10m up, two parking lots. 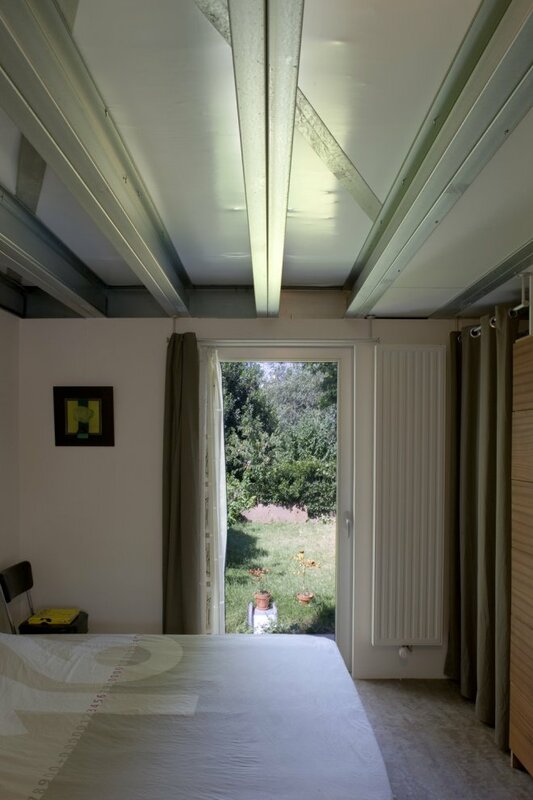 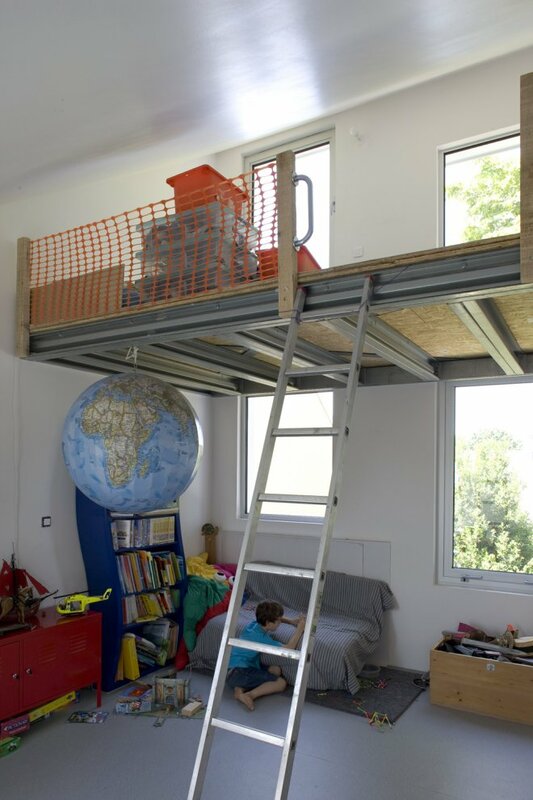 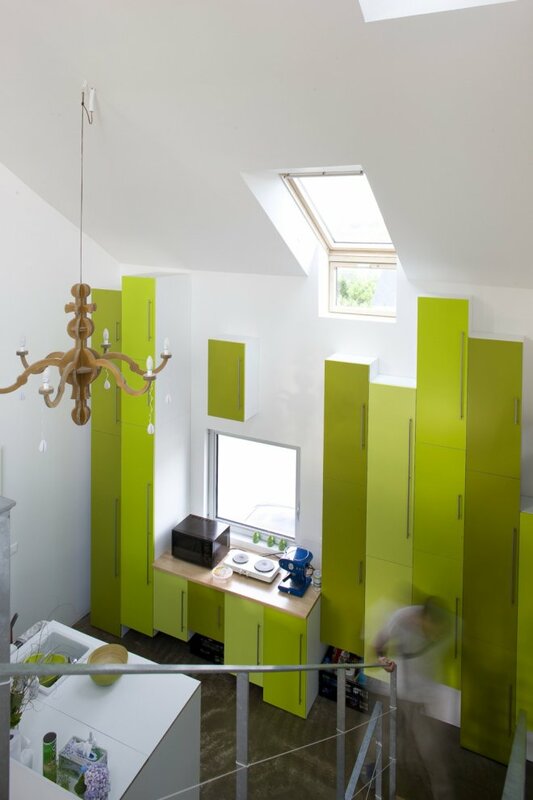 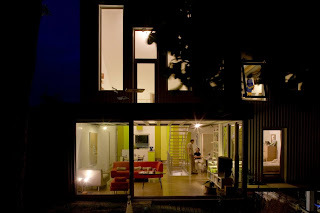 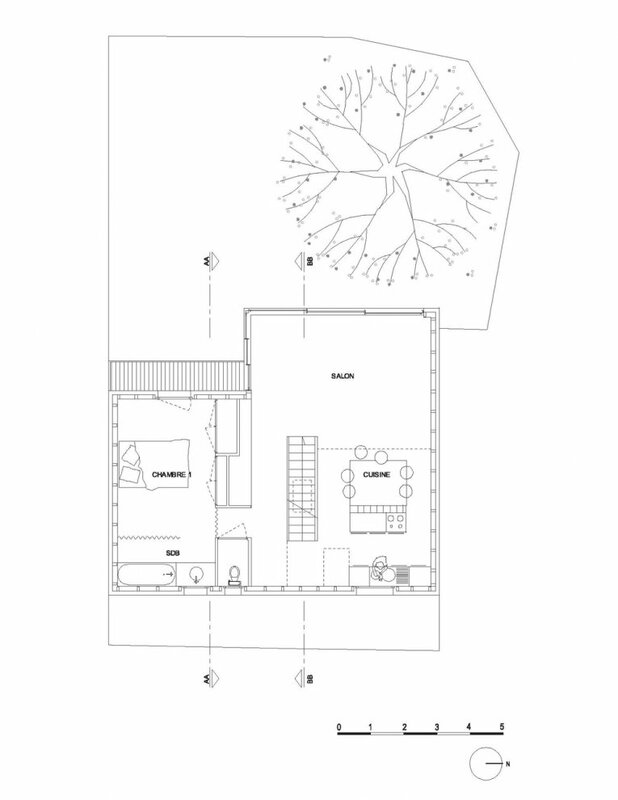 The first floor hosts the double height living space, which extends to the garden. 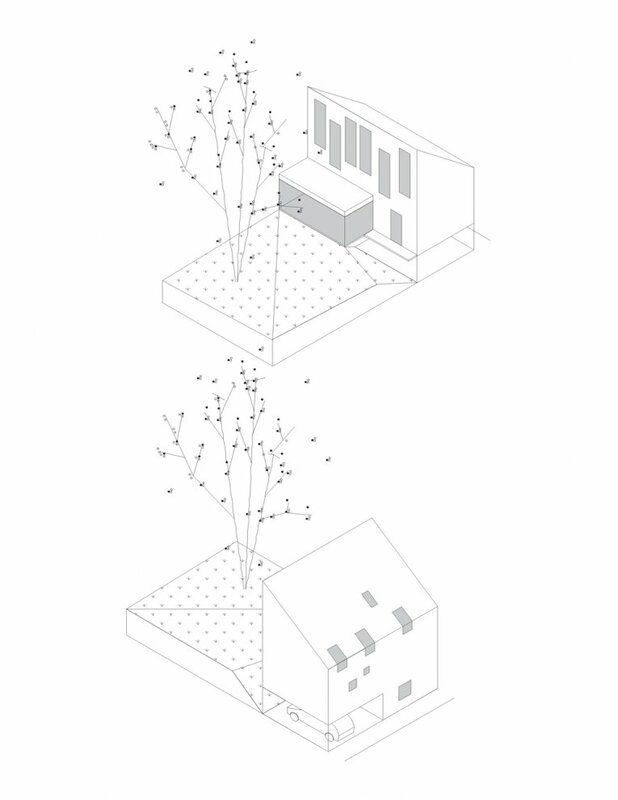 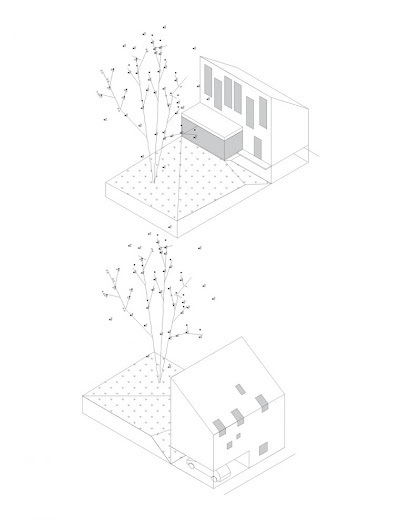 Facing the back of the house, the chestnut tree creates a permanent interaction with the inhabitants, plays on the ease of use, light (thermal control over the seasons).